The past few weeks have been merry and bright in the CCiS HQ, with christmas prep starting early with our christmas tree going into the St Mary-Le-Tower Christmas Tree Festival! The Festival runs from 28 November to 5th December and local businesses, charities community groups and individuals are invited to dress a tree and place in the church for the public to view and enjoy! This is the 9th time the church has held the christmas tree festival and over 110 trees are decorated and over 3,500 people visit the festival each year! We of course went with the theme of orange, and incorporated our up coming Will Month in February 2019. Stay tuned for more information! Please note that the CCiS office will be closed from the 19th December to the 4th January! 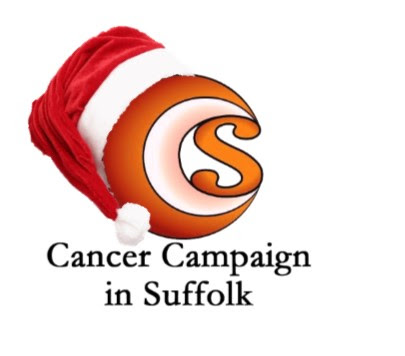 From all of us here at Cancer Campaign in Suffolk, we wish you a very Merry Christmas, and happy and healthy New Year!